The motherhood juggle. It’s a thing. And managing children with anxiety and overthinking is also a thing. It’s a problem we all know too well as mothers…..managing children beit whether its one or multiple. It’s a juggle, and just when you feel like you are getting it right with one child, the other child needs some attention because he/she is dealing with other emotions and challenges. Mum guilt kicks in as we question ourselves and whether we can give time freely to our kids when they need it, and how do we know when they need it? If you’re like me you think you got this Mum thing nailed and then something else pops up to challenge you. For those of you that have followed my journey over the last two years you understand the challenges I’ve faced with my mental health and parenting a special needs child. Its been hard, real hard. Like lock yourself in your bedroom laying in the foetal position crying hard. But I finally feel like I’m coming through the other end of it….most days. What I hadn’t taken into account is how my older son would react to everything that was happening within the family later on down the track. He has been fabulous throughout this last two years and has grown a great relationship with his brother in more recent times. Its beautiful to see. He’s a sensitive, worrying and affectionate boy. One, that I’ve always given cuddles, laid in bed snuggling with, supported and showed him unconditional love. However, more recently he’s been so emotional and teary. 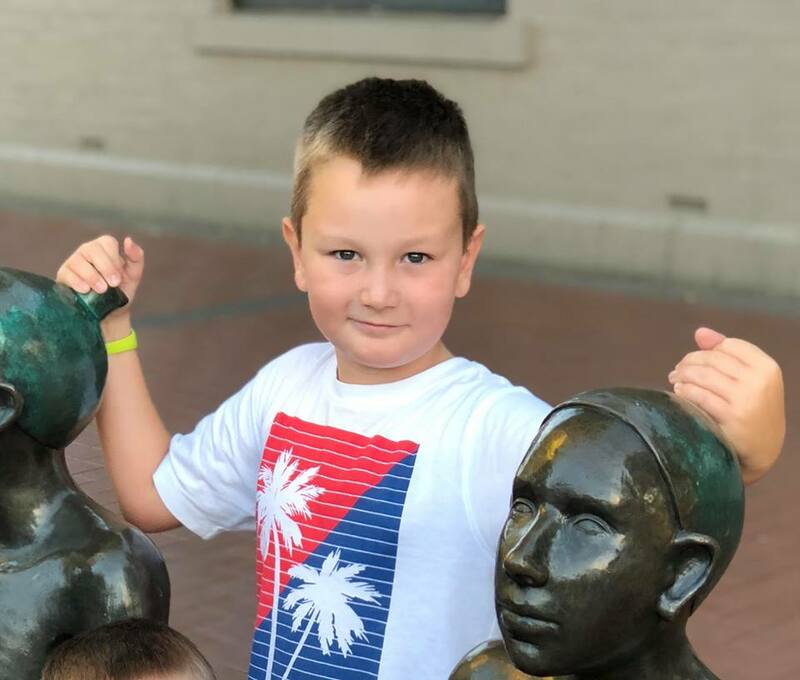 Not sure if its all caught up with him or a change in hormones (he’s 8.5yrs and I’ve been told they have a change in testosterone around that age). He’s been facing different challenges at school…like his first day into grade 3, his first school swim carnival and a few other firsts. All emotions he is having to deal with and as a mother that can identify stress, anxiety and worry its been something we have worked through with him. My husband use to think by saying “come on mate, get on with it” or “you’ll be right” were things that he would respond to. Some kids would just listen and get on with it. But no, he’s a worrier, an overthinker and gets worked up over things. You know that uneasy feeling you get in your gut? You feel queasy, nautious, like the world is closing in on us or the outside world is a big blur. You can’t focus and you’re walking around in a haze. Yup, that’s anxiety and its something so many of us get. It’s a feeling our kids get too and just can’t explain it….and when it happens I’d really like to punch it in the guts. Not my child of course, but anxiety, cos I know as an adult what it feels like so trying to comfort my son when he’s feeling that way is just heart wrenching. But, we’re doing things to combat it and offer him tools, tips and resources to cope and understand it. What have we done to work through this? 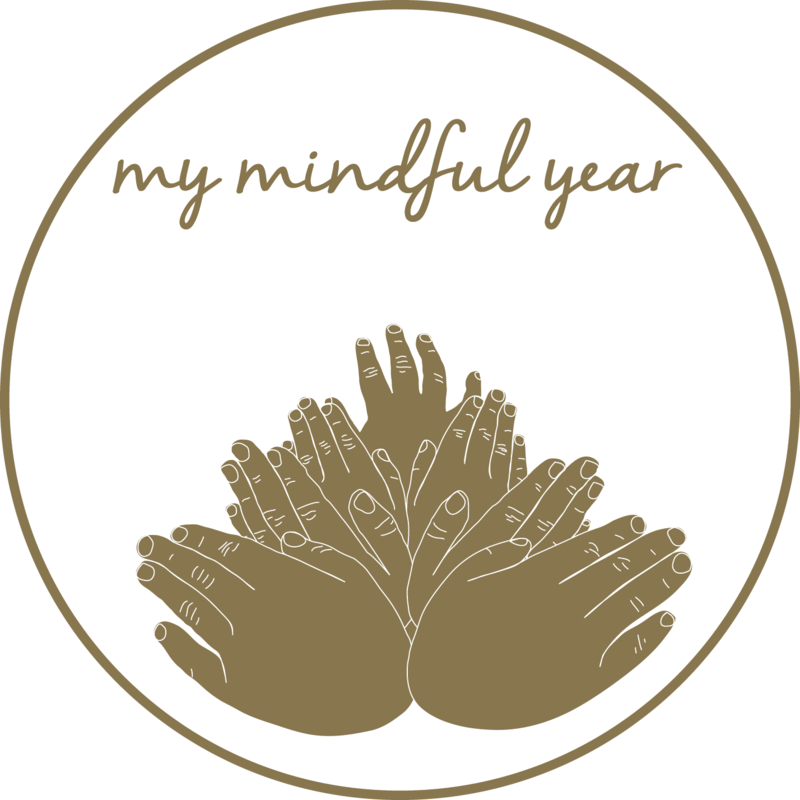 We’ve been working through the activities from the My Mindful Year Junior Journal. He uses the journal himself but I use the activities as well as Kindness Kards to initiate conversations with him. 1: Don’t brush it off or tell him/her “you’ll be fine, don’t worry”. Don’t dismiss how they are feeling. Think about how you feel as an Adult if your friend, husband, wife, partner etc makes you feel when they brush off your thoughts and feelings. We feel like they don’t care right? We feel like our opinions and thoughts are dismissed and not appreciated yes? Well that’s how they feel too. Try responding with comments like “I understand how you must be feeling” because they feel like you get it, like you care, that you love them. By doing this they may open up to you about exactly what they are worried about, what is upsetting them to discuss their feelings and how to react and fix it. 2: Ask them “Are you feeling nervous, worried, scared, excited?” If they are able to answer you great, because this maybe the change for them to then tell you which emotion they are feeling and the conversation can be lead by the answer. Reassure them its ok. By asking them what emotion they are feeling they may identify the cause and then you can offer advice and support mechanisms to face it or deal with it. Keep in mind some kids may not identify the emotion though so just reassure them its ok.
3: Explain to them that WE ALL have and get those emotions and feelings and its completely normal. Offer thoughts on what you do when you are feeling that way and things that help you. It might be to go for a walk or play out side, have some quiet time, do some colouring or simply take some time out and tell mum/dad you need a cuddle. 4: If they can’t explain the feeling to you don’t hound them or continually ask them “whats wrong?” because sometimes they just don’t know whats wrong, how they are feeling or why they are feeling that way. Its foreign to them. Even as an adult we sometimes don’t understand why we are stressed, why we get anxiety or are feeling a certain way. BUT, make sure you let them know that you are there for them anytime they want to chat, comfort them to know they are loved and supported. Let them know they are supported in their feelings and its ok to cry sometimes to let the emotion out. 5: If they can’t talk to you about it reassure them that its ok to talk to a friend, teacher, aunty, uncle, grandparent etc is ok as well. If they are comfortable talking to them in confidence then allow them the safe space to do so. They may be able to offer advice, tips, support that you can’t and your child may feel they can share more with them. Its not a reflection of your parenting or relationship with them, its simply allowing them the love and support to share their feelings in a safe space. Take it from a mum who faces these emotions and two very different children that I have to manage. I use these daily with my eldest son and its been a great way to open up communication between us. Its helped us show him that his emotions and feelings are completely normal and that every human on the planet feels them. Its our responsibility to educate and support them on how they channel and work with those emotions to help move forward. And that’s why My Mindful Year Junior Journals were created. They help conversations start, assist kids in understanding all of these things and offer great tips and support to both the child as well as the parent/guardian in discussion points. They’ve been a great tool for us and many others. I’ve even had a message from a family of a young girl who used it as inspiration to help her and give her confidence to apply as a School Capt for SRC. It made me cry…..because these are the small things that keep me going and this is why I do what I do.